Hello friends, this is a non release month and we are continuing with our revisiting the sets in the year 2017. I chose the Pure Floral - lily for today, along with 2 stencils released in 2017. I stamped and colored the lily and the leaves, and then did partial fussy cutting on the top and added the panel to the stenciled base. Stamped the sentiment and a few jewels to finish off. I stamped the flower in squeezed lemonade DI and used markers to color it, used the polka dots stencil in the Bg and the sentiment is from the snowdrop set, a few jewels to finish off the front. I colored the base card at the bottom and added the front to finish off. Delightful duo Rahmat and so beautifully coloured. Love the stencil pairings too. Absolutely beautiful! Thanks so much for joining in the fun at our Double D ‘ATG Birthday/Anniversary’ challenge! We hope you’ll come back often. wonderful - especially the "pink". So beautiful -- both cards! Love the yellow, a favorite color, but I love all colors. The stenciled backgrounds on both are very effective. I like it! Thanks so much for sharing with us at Double D! Swooning over your gorgeous lilies, Rahmat, made all the more eye-catching with the stencil pairings! You've breathed life into them with your amazing colouring! LOVE! The big lily image and your coloring are both gorgeous, Rahmat! Pretty shading on both lilies! Stunning cards Rahmat! Both are so beautiful with that lily as centre stage! Great colour combinations on both! Oh my gosh, I love that lily flower! I may have to buy it! Beautiful cards as always! That's one of my favorite quotes too. Thanks for playing again with us at 4 Crafty Chicks this week! The flower is fabulous. Great cards. So pretty. I like your coloring and the backgrounds. Simply wonderful creations Rahmat. you've certainly shown the versatility of mixing and matching the new stencils with the gorgeous lily. Superb colours and so fun and cheery too. Such a beautiful 'twofer' and showcase of the Uniko Pure Florals Lily. 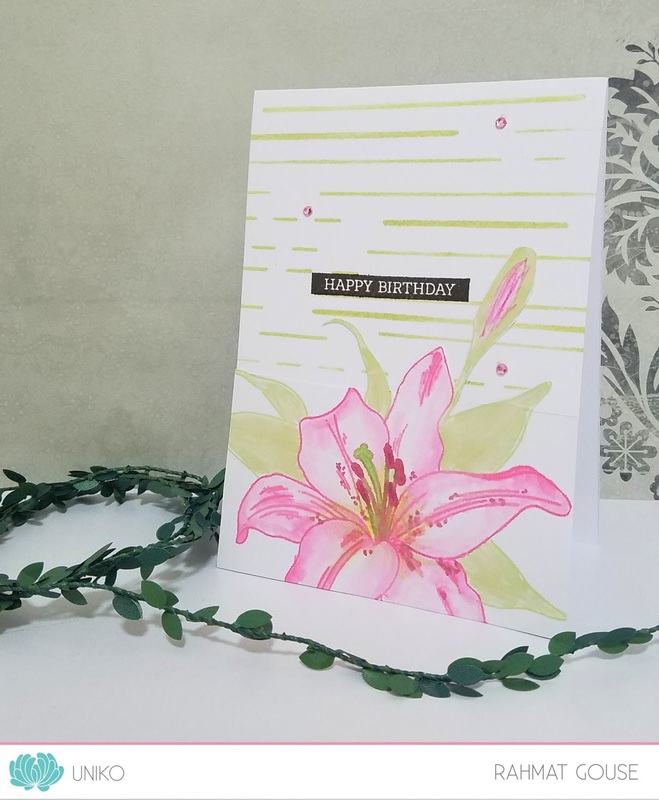 Absolutely LOVING the combination of the Broken Lines stencil on your first card, it seamlessly blends with the flower with using the same greens as the leaves and foliage. 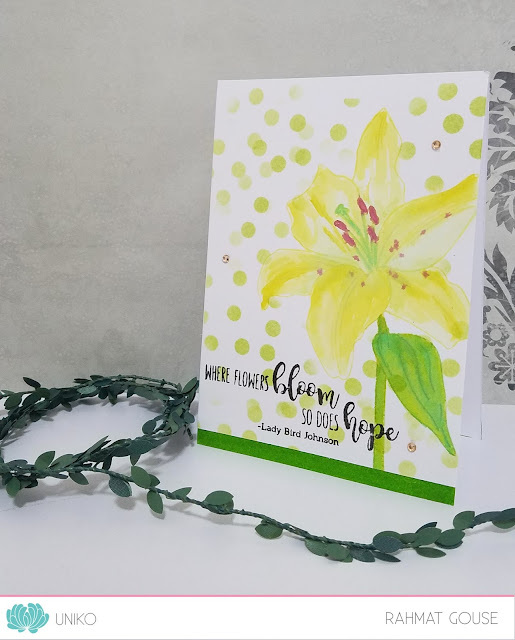 The Scattered Polka Dot stencil looks fabulous in the lush lemon and your colouring on both your cards is beautiful. Wow.. I love your colouring.. those lilies and the background look amazing Di! Cute! Gorgeous flowers. Thanks for joining us at Pause Dream Enjoy Challenges. Awesome cards and colouring!!! Great work!!! 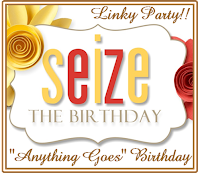 That lily stamp set always makes me gasp - it looks so realistic! ANd you made lovely cards with it, I especially love the first one!